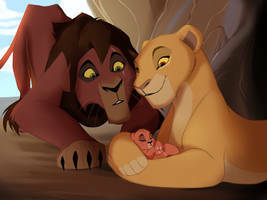 SO FREAKIN ADORABLE. I miss them! You are such a great artist! 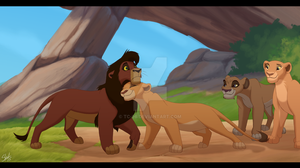 This is quite amazing art; such a tender moment. Great job as always! you'll never escape the fandom Are you looking forward to the new re-make? Absolutely adorable! 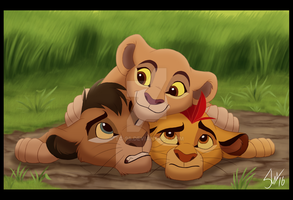 Just wanna say that despite everything going on, and all that has gone down it is an absolute pleasure to see your TLK art even if it is sporadic. 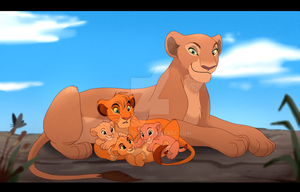 I really miss your TLK pictures! 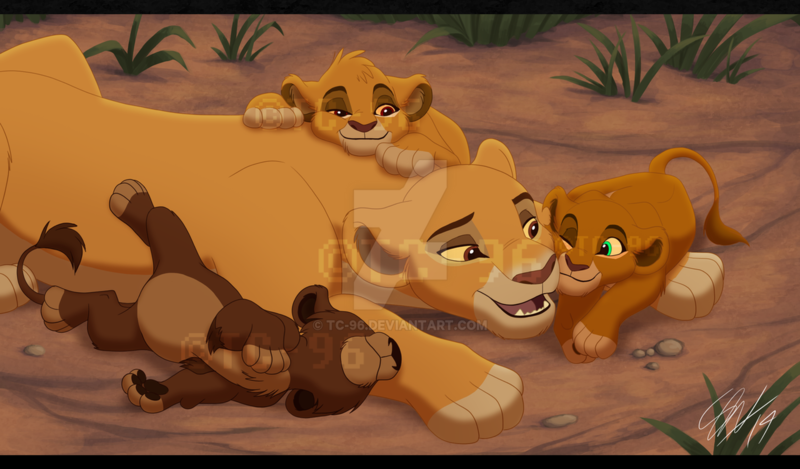 Man, when it comes to Asha, Koda, and Leah, they’re my favorite Kiara and Kovu’s fanfic cubs, I don’t know why exactly, but they just are and it’s always great to see them. 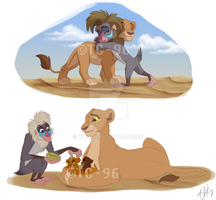 I'm glad that you still do atleast some of your lion king art! Have you considered asking anyone to take over your comic so others won't pressure you? BAck to the roots, eh? Gosh, I didn't realize how much I've missed these kids.